As a way of expressing our gratitude, for any gift of US$25 (or CAN$25, or €25) or more, we will send you the books Steps to Christ (see below) and Questioning the Supernatural. Or take a look at our complete library: almost 150 books are available! Angels seem to be everywhere these days. Guiding us. Comforting us. Giving us secret message. 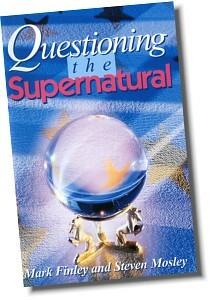 This surprising book penetrates into the world of angels and spirits with light from the Word of God. It lays bare deceptions that Satan is harnessing to deceive millions!